Scottish tennis player Andy Murray joined a growing list of celebrities to stand up against illegal wildlife trafficking this week. The Wimbledon champ, famous for his love of dogs, signed on with the World Wildlife Fund to become the face of an initiative in Nepal that trains dogs to track down poachers in Chitwan National Park, home to Bengal tigers, rhinos and leopards, among others. Nepal, long considered an important transit route for illegal wildlife products traveling from India en route to China, has been largely successful in cracking down on poaching lately. In March, the country announced its second continuous poaching-free year. "I've followed WWF's work on the illegal wildlife trade for a while now and been looking for a way to support their work. I think it's incredibly important that this trade is prevented and the sniffer dog program seemed like the perfect venture for me to get behind. I know from my own dogs how clever they can be and it's fascinating how these sniffer dogs communicate with their handlers. 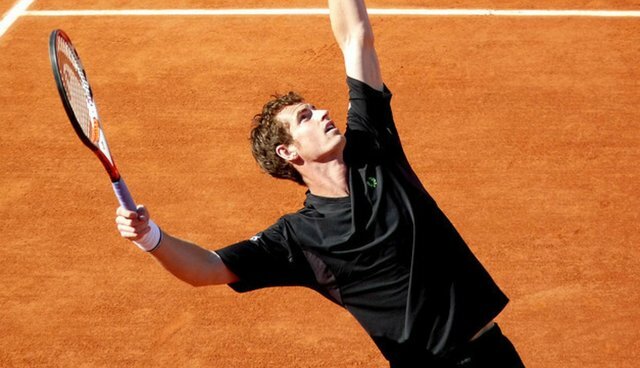 I'm also really looking forward to going to see Murray at work at some point in the near future." See this page to help fight poaching in Nepal.